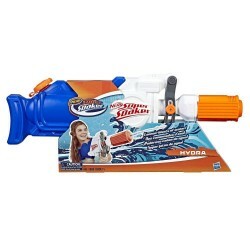 Be ready for almost any mission or battle with a Super Soaker blaster that fires darts and water! 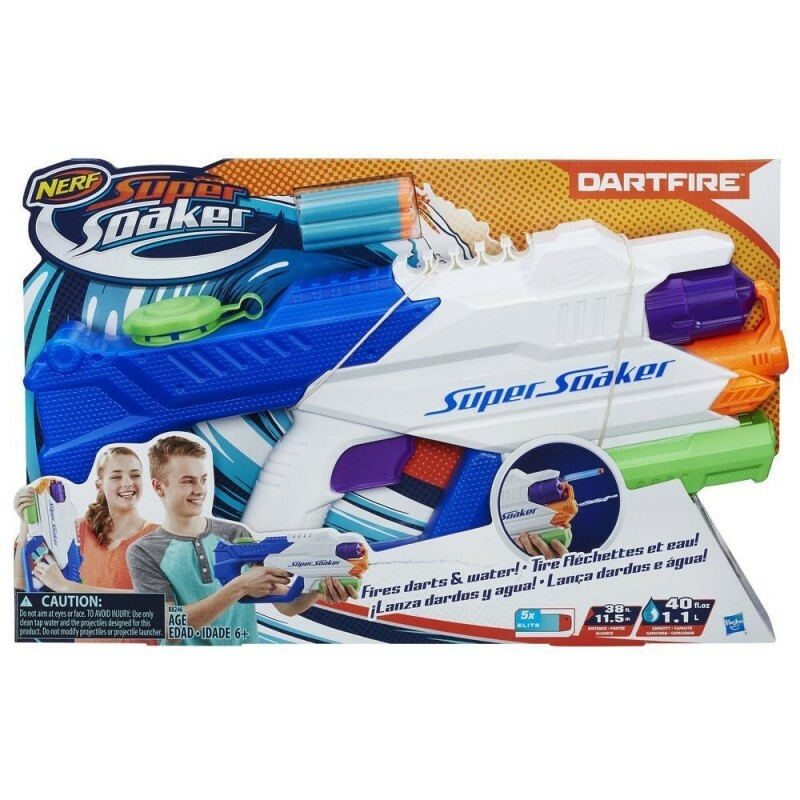 Deliver a double shot of blasting action with the Nerf Super Soaker DartFire water blaster that launches Nerf foam darts and unleashes a deluge of water to soak the competition. 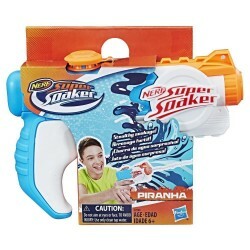 Kids can choose their mode and let the darts – or the water – fly! Switch between modes to take opponents by surprise. The DartFire water blaster fires 1 dart a time and shoots water up to 38 feet (11.5 meters). The tank holds up to 40 fluid ounces (1.1 liters) of water. 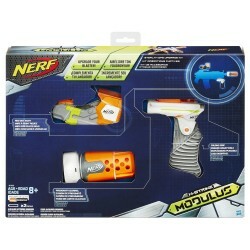 Includes 5 Nerf darts. 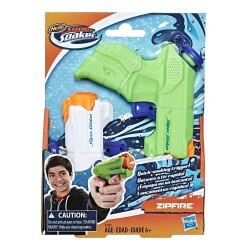 Includes 1 water blaster and 5 darts. • CAUTION: Do not aim at eyes or face. TO AVOID INJURY: Use only clean tap water and the projectiles designed for this product. Do not modify projectiles or projectile launcher.